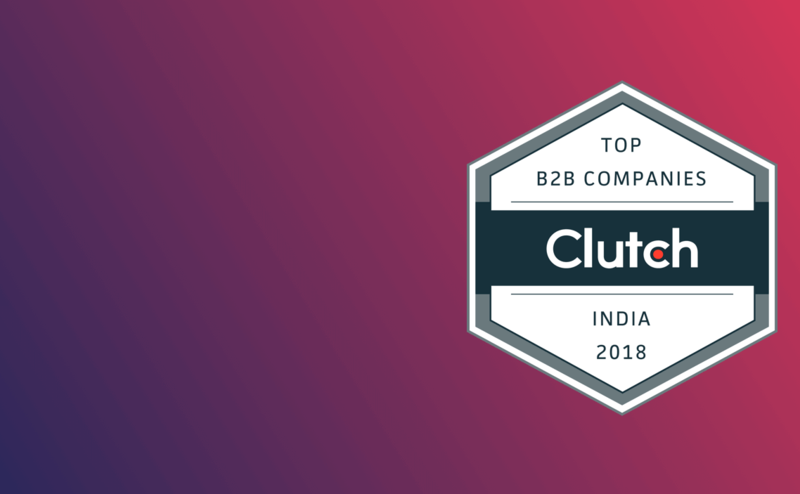 June 18, 2018, Ahmedabad, India– Clutch, a prominent B2B platform globally, has named Let’s Nurture amongst the elite list of top 10 B2B solutions providing companies in India for 2018. B2B market has indeed come off the age lately and it is still maturing at a great pace. Talking about India and specifically for B2B Ecommerce Industry only, this industry is six times prolific in terms of market share and value. Let’s Nurture is an ISO 9001:2015 certified leading B2B solutions providing company in India, USA, Canada, UK, Australia and Singapore, now proud to enter the elite list of Top B2B Solutions providers. Let’s Nurture has state-of-the-art IT offshore development center in Ahmedabad, India that consists of expert and experienced consultants and development architects who specialize in integrating the latest technologies to provide custom, robust and scalable B2B solutions to ensure business growth across various industry domains. Leveraging 10+ years of experience in custom mobile application development, Let’s Nurture has been providing quality B2B solutions using the cutting edge technologies which streamlines the complex processes of various business flows. Using the best skills, expert developer at Let’s Nurture helps managing many business projects and system integrally to reduce over all cost, optimize and increase overall productivity while ensuring maximum quality with compliance to service agreement with clients. B2B solutions provided by Let’s Nurture include B2B Ecommerce solutions using popular frameworks like Magento and WooCommerce. This is to improve buying experience, enhance customer interactions, guide seller, maximise sales by improving customer and brand loyalty. Let’s Nurture also provides complete range of B2B solutions, be it domain registration, website hosting, SEO, Digital Marketing, software or app development, software licensing, Server maintenance and support or cloud services, they have done it all. Let’s Nurture believes in maintaining long term relationships with B2B customers across the world as it is their code to put customer to the core to deliver best deliverables, which are beyond client expectations. The constant effort to improve in terms of quality and service has led Let’s Nurture to be considered as one of the Top 10 B2B solutions providers. So if you are a small, medium or a large scale enterprise and looking to know more about what Let’s Nurture can offer with their rich experience in Enterprise B2B solutions, get in touch with B2B solutions consultants now.